As author of my own book since 2011, I never underestimate the power of being able to engage as you write. Explain, provoke, question and describe in simple, straightforward terms. 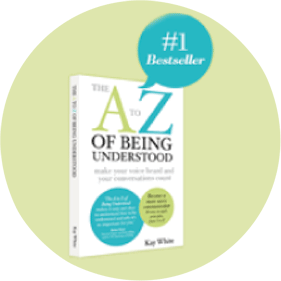 Within 2 months of being published, The A to Z of Being Understood was being taught to further education students in a University in Austria. It was a proud moment when I spoke to the students at the Austrian Embassy in London and many of them said it was as if I was speaking just to them as they read the book. That’s the point. I am speaking to you as I write. I want you to be able to compel, connect, move and engage with people as you go about your business. I want you to be understood. You can pick a letter and start implementing the steps and ideas that very same day – easy as A, B, C.
Give me five minutes and I’ll show you how to be heard and have people sit up and take notice of you and what you’re saying. Discover simple steps to dramatically increase the effectiveness of your communication so people are inspired to give you what you want, quickly and easily. Read my book and I’ll show you how to do it in less than 30 days. A banana peel which trips you up in your conversations and upsets people as they hear it – how you can easily avoid it and what to say instead. 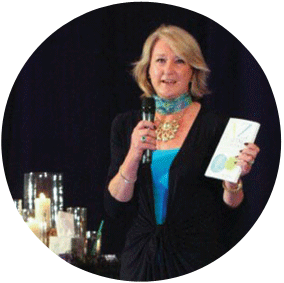 3 easy ways to get your message crystal clear – save time, money and energy and people LOVE you for it. The number one thing you can say in any conversation to get to the heart of the matter AND help everyone. How to reclaim your power quickly before you react and say something you’ll regret! Find out the most over-used word you must avoid if you want to compel and persuade people – Bart Simpson teaches us this lesson! Learn how to use this phrase like a mantra and watch your results rocket. This is where the fortune is. Discover the 2 key reasons why you must use what you were born with more than you do AND do it now, people will actually be shocked!